Selwyns Travel will be growing their fleet by 22 vehicles dedicated to operating various contracts awarded to them by Merseytravel. The coach hire company’s commitment is to deliver good quality and safety services for 20 schools contracts. The contracts will be operating over 63 routes split into morning and afternoon journeys, Monday to Friday during school term time from April 29th2019. Some examples of the schools Selwyns Travel will be serving are: Calday Grange Grammar School, Weatherhead High School, Our Lady of Pity Roman Catholic Primary School, Birkenhead Sixth Form College. In order to operate the schools services, Selwyns Travel are opening a new operating center in Prenton on the Wirral. This large investment allows the company to significantly increase the capacity and service quality in the area. Selwyns have added an additional 22, high capacity, wheelchair accessible, double deck vehicles to their fleet operate the school contracts. 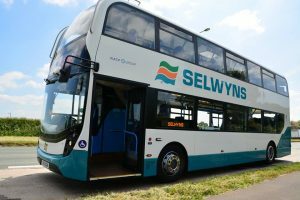 Selwyns Travel are in the process of hiring employees from the local area such as PCV Drivers, Engineers and Engineering Apprentices.